It takes a bit of trial and error to master cooking and baking with tofu. The first thing you need to understand is that there are two main types of tofu: regular tofu and silken tofu. Each of these needs to be prepared in a completely different way. All tofu is made out of soy beans. First the soy beans are soaked, then they are blended with the soaking water. Then the blended mixture is cooked. After cooking the mixture, it is strained. The liquid that is strained out is soy milk, and it is used to make tofu. The soy milk is heated and a coagulant is added to it. The coagulant causes the proteins (curds) in the soy milk to stick together. 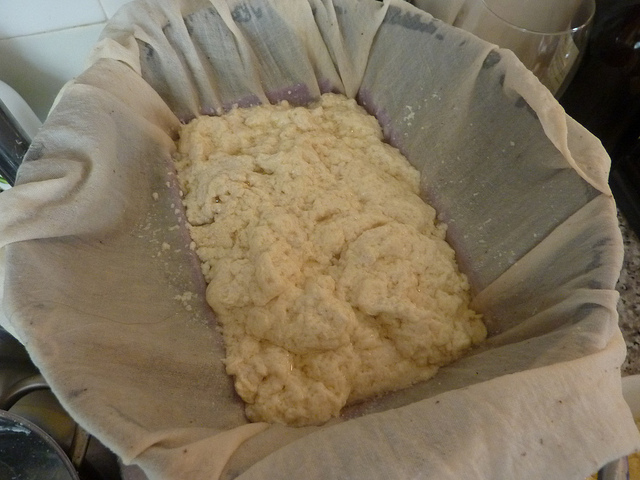 The mixture is strained again so the liquid (whey) drains out and just the curds remain. These curds are pressed, creating the mass of protein we know as tofu. 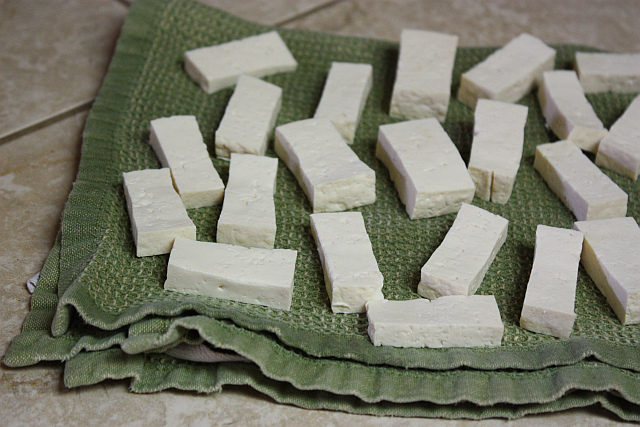 Depending on how much water is pressed out of the tofu, the tofu will be firmer or softer. Firm Tofu: Has higher protein content but requires more time to cook or bake out the remaining water. Firm tofu does a better job of retaining is shape, so it good for things like skewers or burgers. Because it has lower water content, it is also the better choice for frying. 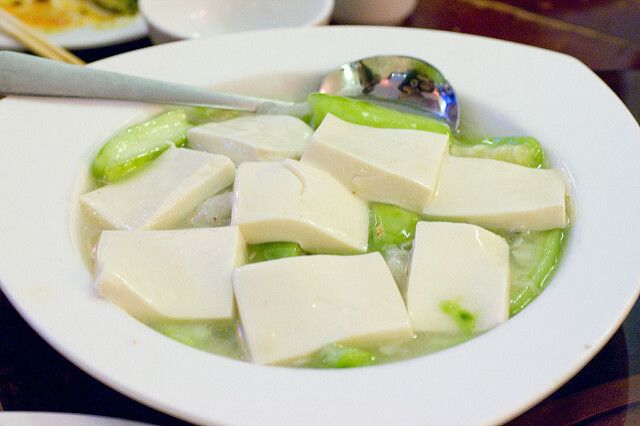 Soft Tofu: Has a lower protein content and more water, but this water will come out easier when cooking or baking, so it takes less time to prepare. Soft tofu might fall apart when preparing it, so it is better for dishes like “tofu scramble.” Avoid using it for frying unless you take the time to drain lots of water from it first. 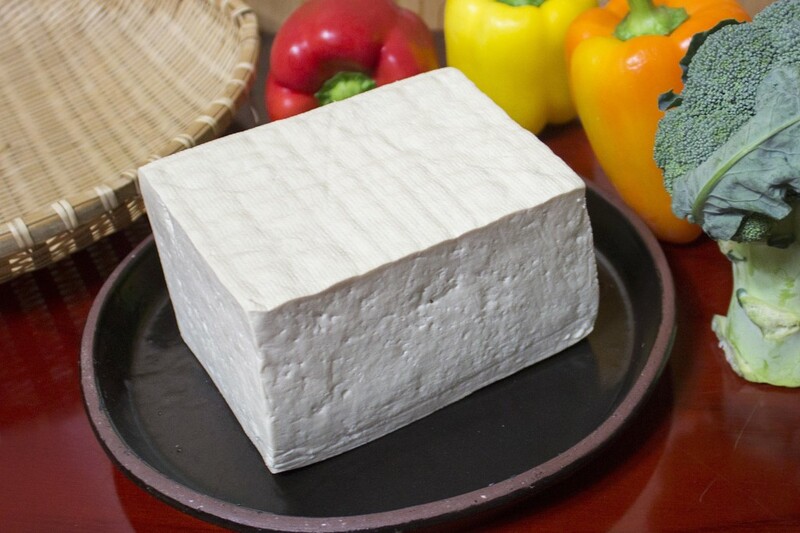 Note that there are a lot of different firmness levels of tofu, such as Soft, Medium, Firm, and Extra Firm. What one brand considers “Medium” might be “Firm” for another brand. So, try out a few brands to see which one you like best. Drain the Water: Tofu contains a lot of water in it, and water and oil do not mix. If you don’t drain your tofu before putting it into hot oil, you will cause some serious oil splattering. Also, your tofu will never get a crispy exterior. To drain the tofu, put it between two plates with a weight (such as a can) on top, and tilt the plates a bit so the water can drain out. Or just squeeze excess water out using your hands. Add Flavor: Tofu does not have any flavor to it. You’ve got to add the flavor to tofu when preparing it. One way is to marinade the tofu before preparing it. I also love to simmer tofu in a flavorful liquid such as tomato juice or coconut milk. The tofu will absorb the liquid and take on its flavor. Or just go crazy with the seasonings, just be warned that they will only be on the outside of the tofu and won’t penetrate into the inside. Freeze Tofu: If you put tofu in the freezer, the water in it will expand. When the tofu is thawed, you will be left with lots of air pockets. This changes the texture of the tofu completely and makes it more spongy and interesting. This is one way to get the water out of tofu before cooking with it. Silken tofu is completely different than regular tofu. It is also made out of soy milk, but the soy milk isn’t curdled during the coagulation process. Silken tofu also isn’t pressed, so it retains all of its liquids. Because there are no curds which form with silken tofu, it has a very smooth (i.e. silken) texture. If you try to make a stir fry with silken tofu, it is going to fall apart. Since it doesn’t have any air pockets in it, silken tofu will NOT absorb flavor. Unless you like eating flavorless mush, don’t try to use silken tofu in dishes which call for frying, baking, stewing, etc. I personally would never eat silken tofu like this. It is too slimy and doesn’t absorb flavor! So what do you use silken tofu for? It is fantastic in blended dishes. Again, tofu really doesn’t have any flavor and this is what makes it great. You can, for example, blend up silken tofu with some cacao and maple syrup to make pudding. 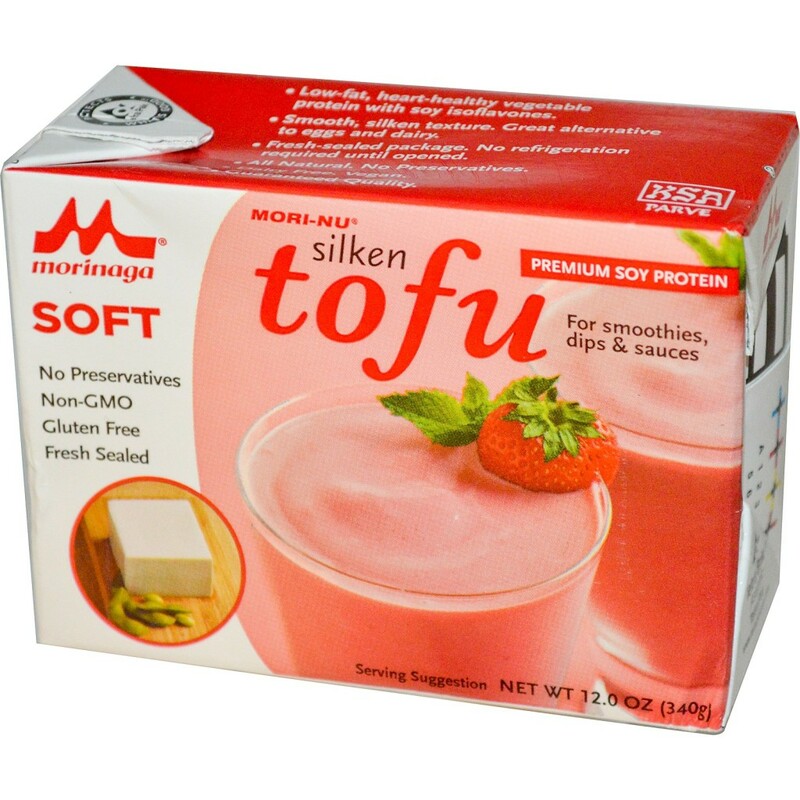 Or throw some silken tofu in a smoothie for a boost of protein. You won’t know that the tofu is there aside from the creamy texture it gives. You can also find silken tofu used in delicate soups, such as a Japanese miso soup.